You might think that all shipping containers are alike. However, there are actually several types of shipping containers that are used for many different purposes. The common factors that these shipping containers share are that they are all typically composed of steel or aluminum for maximum durability and are usually between 20-45 feet long for maximum holding capacity. Read further to learn more about the different types of shipping containers and their uses. The dry freight container is the most common type of shipping container. This container is used for many different materials that do not need special considerations. They are 20-40 feet long and can be specified when it comes to the height. Flat rack containers are different from many other shipping containers in that they do not have walls and are not enclosed. Flat rack shipping containers only have a bottom floor and two walls on each end containing fittings for the corners to prevent slipping. You will usually see these types of shipping containers filled with wood or other products and objects that are difficult to fit into the enclosed shipping containers. Insulated shipping containers are also referred to as refrigerated containers. These containers are not insulated but rather use a constantly regulated temperature to provide internal insulation to keep things at the temperature needed. Standard refrigerated shipping containers are used to ship fresh or perishable goods. This can include anything from ice, meat, and other food products that need refrigeration at all times. These shipping containers are insulated and have a temperature controller that can adjust to the desired temperature prior to shipping and remain at that same temperature throughout the way. Open top shipping containers are just like typical enclosed containers expect they do not have a roof, so are therefore not fully enclosed. 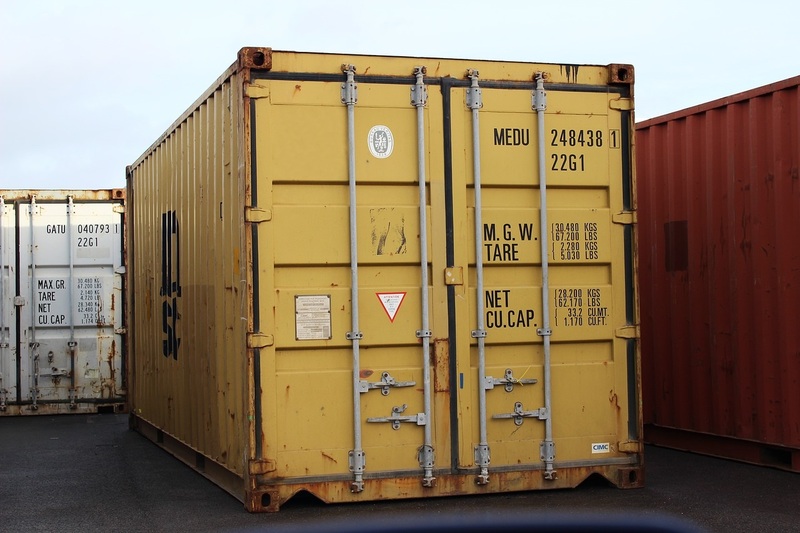 These containers are often used for large machinery and other equipment that are too tall to fit under the roof of a shipping container that is enclosed. Custom shipping containers are a combination of any of the containers mentioned above. Depending on the shipping needs, the product being shipped might need special considerations for shipping and might not fit the mold of any one container. Therefore, some companies who will be using shipping containers on a regular basis will create a very specific shipping container to meet their needs.